Vikings Corner: Rick Spielman Day 2 Recap: "You cannot have enough corners"
Rick Spielman Day 2 Recap: "You cannot have enough corners"
Vikings General Manager Rick Spielman addressed the media after day two of the NFL Draft. He recapped the Vikings' lone selection and discussed the trade involving their third round pick. In the second round, the Vikings selected Clemson cornerback Mackensie Alexander. Later, the Vikings traded their third round selection to the Miami Dolphins for a 2016 6th-round pick and a 2017 third and fourth round selection. Spielman said there were three reasons behind the trade. They include depth, current roster status, and the contracts upcoming next year. He also added that it gives them ammunition to move up for a player they may covet in the fifth or even fourth round on day three. Spielman also said that the amount of depth still on the board is also attractive. Spielman had a few comments regarding Mackensie Alexander and his selection in the second round. He stressed the importance of having serviceable cornerbacks in this league. "You cannot have enough corners," reiterated Spielman. As the film has shown, Alexander has a high amount of confidence and awareness on the field. Spielman really discussed this aspect of his game in his closing press conference. "Just love the kid's confidence and love his savvy for the game," he explained. There have been concerns about Alexander failing to register an interception in his two collegiate seasons at Clemson. Spielman isn't worried about his ball skills or his limited play-making ability at the next level. "He didn't have a lot of balls completed on him also, and that's the most important thing. And I know Zim preaches interceptions and turnovers are key, but also the one thing that I hear Zim preach to our players out at practice is 'don't let your man catch the ball.' And that criteria he checks the box in," Spielman stated. "The way he can mirror routes is a fit for what we're doing here scheme-wise," he added. Spielman also isn't concerned about the height 'limitations' that Mike Zimmer has recently placed on cornerbacks entering the roster. It is well-known that Zimmer prefers taller cornerbacks. 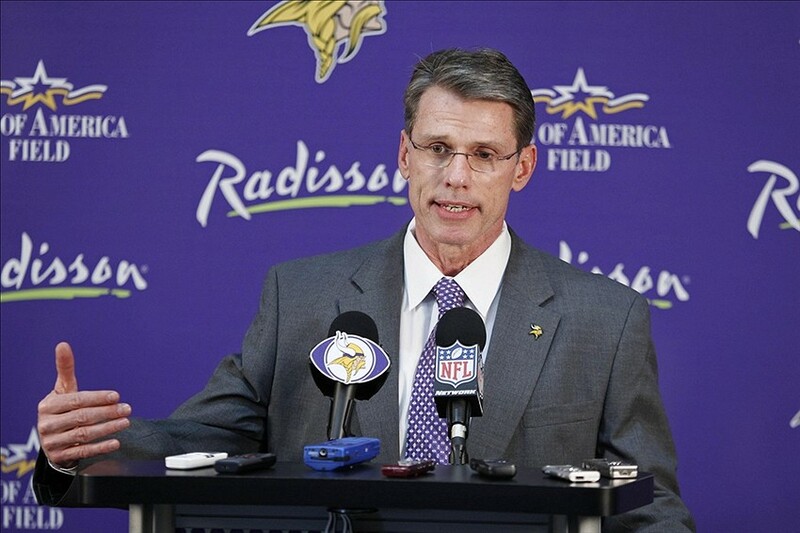 Even though Alexander measures at 5'10", Spielman said Zimmer fully approved the selection. "Zim loves him," he laughed. Spielman continued to reiterate the importance of finding players to build the organization around that have a passion for the game. He says Mackensie Alexander fits the bill. "[Mackensie is a] very competitive corner. Another guy that has a lot of passion for the game," said Spielman. Spielman primarily sees Mackensie Alexander as a nickel cornerback in this defense, but says he has the ability to flex outside too. "I think he's strictly a Nickel and corner. I think he can play inside and outside," Spielman stated. By adding Laquon Treadwell and Mackensie Alexander, Spielman is continuing to build the roster with players that fit the mold and direction the organization is working towards. Spielman concluded, "I think our first two picks, there's no question about the passion they have for the game. I know when it's crunch time and those guys have to compete you can go into a foxhole with those guys and they're going to fight." Tomorrow the Vikings continue the NFL draft with rounds 4-7 beginning at 11am CT. Coverage will continue live from Winter Park with quotes from all the day three selections and a recap of all the happenings from GM Rick Spielman at the conclusion of the day.